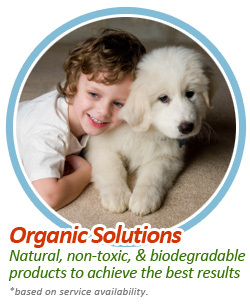 Carpet and Rug Steamers is at the forefront of Eco-Friendly cleaning in the country. We are committed to providing carpet cleaning, rug cleaning, furniture upholstery cleaning and more using effective Eco-Friendly products and methods. No harsh detergents, no chemical vapors to pollute your indoor environment or wash off into the sewer system. Dust, dirt, dead skin cells, hair, pet dander, food crumbs, and body oils all find their way to your carpet's surface. Since very few people vacuum every day, bits and pieces of your daily life inevitably work their way down to the bottom of the carpet every step you take on your carpet pushes all surface dirt down. Vacuuming will help, but even if you vacuumed every day you would not be able to adequately remove common household contaminants from your carpets. While there are many carpet cleaning remedies readily available, the simple truth is that there is only one method that has been proven to be most effective in coping with common carpet cleaning issues. 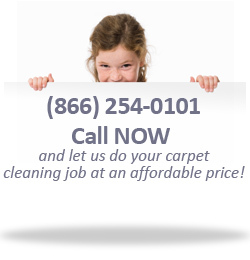 That method is commonly known as carpet steam cleaning or water extraction. In this process, the carpet is first vacuumed using industrial strength vacuum cleaners to extract as much dirt as possible. Then, jets of hot water are sprayed onto your carpet using a very powerful vacuum cleaner attached to a holding tank. If you are thinking to yourself that the equipment for this process is probably large, loud and cumbersome, you are correct. But not to worry, Carpet and Rug Steamers use truck mounted equipment. In this is the case, the engine, water reservoir, holding tank and other mechanical parts stay outside in the company's truck or van. Cleaning upholstered furniture is not rocket science, but it is a process that requires detailed knowledge, the proper tools and precise technique. Perhaps that is why many pieces of upholstered furniture carry a tag that specifically states "professional cleaning only". Use the wrong product on your upholstery and you may experience staining, a change in color, or worse yet, damage to the fabric or fiber. Incorrect steam cleaning can lead to over-wetting. Leave the cushions or fabric damp, and you can be sure that you'll be sniffing around looking for the source of an unpleasant odor. Or worse, they will become a perfect home for health threats such as mold, mildew and other bacteria or fungi. In addition, some over the counter products, particularly upholstery shampoos, have been shown to actually promote staining rather than prevent it! Carpet and Rug Steamers thinks it's time that you paid a little more attention to your rugs. Yes, those textile floor coverings that you bought some time ago to add color to your interiors. While some small, inexpensive rugs might respond well to machine washing, or represent so minimal of an investment that you don't mind replacing them rather than caring for them, others require more specialized care. Persian rugs, silk rugs, oriental rugs, novelty and shag rugs, antique rugs, natural fiber, sisal and handmade rugs were not made for standard do it yourself rug cleaning. These and other types of rugs require expert care at the hand of only reputable rug cleaning services like Carpet and Rug Steamers. Once your carpet, rug or upholstery has been professionally cleaned by Carpet and Rug Steamers you'll see, feel and smell the difference. Extend your investment in your carpets, rug and furniture by extending their durability. Call (866) 254-0101 today for a free estimate. Don't forget to ask about how you can save a bundle by setting up a customized day of cleaning.